While there are many challenges facing our industry as we approach 2015, there is a common theme that stretches across the outlook of the contributors to our 2014 State of the Industry report. Though precise statistics seem to balloon every day, it is clear that more images are taken today than ever before. And the numbers are growing at an exponential rate. This can only be good for our industry. But we need to figure out how to capitalize on this phenomenon. We’ve all see the decline in overall camera sales, and obviously the point-and-shoot business has been supplanted by smartphones. This is beginning to be old news already—or maybe that’s because we just worry about it every day. However, we’ve also seen beacons of hope. Breakthrough features are capturing the imaginations of photo enthusiasts. Furthermore, the explosion of photo book sales means we’re reaching a broader audience. There are also new technologies with burgeoning potential beginning to capture the hearts and minds of early adopters. They include 3D printing, 4K video as well as action cameras. Are drones very far off? It’s time for our industry to seize the moment by listening to the market and making personal connections with our customers. We should understand their challenges, beyond just taking pictures. We have to continue to engage them and not just try to sell them what we’re used to selling. Smartphones have revolutionized imaging, just as music streaming revolutionized the music business, and e-books turned the publishing business on its ear. Is it all good? Obviously we’ve seen the downside, but we also have to recognize the potential. Think of all the teens taking pictures today. They represent the future photo enthusiast, entering our market and falling for the passion of imaging. Teens want to share their stories. They value creativity. Teens are seeing their lives through viewfinders and screens. They can’t wait to show off their captured images. To me, this doesn’t sound very different from the behavior of the customers we’ve always entertained. The imagination and enthusiasm for photography is still there. We just have to find new ways to capture their hearts. How do we do this? With breakthrough technologies. Education programs. Differentiation within our stores. Photo treks. Cultivating conversations on social networks and using that media to grow our businesses. Slipping out of our own comfort zones. #doyouhaveatwitteraccountyet? We are at a crossroads; sales may be down but picture taking is skyrocketing. Now we just have to figure out how to make that equation work for us. Never before have more photographs and video been taken, uploaded, shared and posted than today. The passion for photography is integrated into everyday life, no longer reserved for special occasions like vacations, graduations and birthdays. At the same time, our industry faces challenges as some core segments (entry-level compact digital cameras, for example) continue to decline. There is a path to industry sustainability—and growth. But manufacturers and retailers must seize this chance to demonstrate, educate and evangelize the benefits of cameras with large image sensors, low-light capabilities, Wi-Fi and high-quality optics, as well as showcase the emotion, beauty and permanence of printed images. As an industry, we need to bridge the gap and change the “good enough” mind-set of those that rely on smartphones to capture their memorable moments. And we must step these passionate enthusiasts up from entry level to advanced amateur. Photography is alive and well, and Canon is actively approaching this opportunity. As an industry leader, it’s our responsibility and goal to motivate the huge base of emerging imaging enthusiasts to aspire to be better photographers and videographers. Through education, advertising, marketing, social media and customized hands-on educational events with our business partners, we encourage people to shoot, print, share and learn that they can enjoy photography and videography so much more when they utilize products that are purely dedicated to high-quality imaging. Our “Bring It” advertising campaign carries this powerful message to bring your camera, bring your passion and be inspired to do more with your photography. Although we have to adjust to certain market realities with consumer products, our expansions into new professional businesses like our Cinema EOS line have been very well received. In many ways they have helped expand the industry, particularly with documentary filmmakers. Also, our Pixma Pro printers have helped not only EOS camera sales but also have given our business partners added opportunities to promote printed photographs . . . and added revenue. We also take great pride in Canon’s investment to offer world-class service and support—100% U.S. based. Our second call center just opened in Albuquerque, New Mexico. We are reinforcing our commitment to providing the ultimate customer experience before, during and after the sale. Canon will never compromise on this. Although some have called it a sunset industry, the photo industry remains an evolving sector with significant opportunities. In the camera segment, consumers are responding strongly to the new technology and innovation seen in CSCs. They also are appreciating unique products like waterproof cameras and instant film cameras. These products, including the Fujifilm X series, have demonstrably shown that professional photographers can achieve outstanding image quality in a body that is vastly more mobile and usable than traditional DSLR systems. We are also seeing stabilization in the traditional film market. While volume today is just 4% of the peak volume back in 2000, today’s film user is choosing to use film because its distinctive look is timeless and produces unique results. The photo industry is more than input; it is increasingly output focused. Consumers are taking more than 110 billion images annually with roughly 60% being taken with their mobile devices. While many of the images are used to more efficiently communicate, a significant number are being transformed into personalized output. Photo output options are almost limitless. And it has become clear that consumers are looking for more creative ways to display their photos, rather than just 4×6 prints. Personalized photo products, including books, cards, calendars, custom-made picture gifts, wall décor and more are rapidly growing in a category where overall photo output is increasing at a rate of nearly 5%. There is significant growth opportunity in the photofinishing business for retailers who offer more value-added products. The consumer is buying less quantity but spending more on products like metal wall art and canvas prints. Masahiro Horie, Director, Marketing and Planning, Nikon Inc.
At Nikon, supporting the consumer in every aspect of their photographic life is a core part of our brand culture. This is a concept that needs to be adopted throughout the imaging industry for the future. While buying habits have changed, consumers are taking more images than ever before. Therein is the opportunity to motivate consumers to capture and share better stories through their images. It’s no secret that we face a challenging market and several product segments are in decli.. This makes it more important than ever to concentrate on providing the consumer with a great value proposition. We continue to see an opportunity in the entry-level and enthusiast DSLR segments, as consumers are realizing the speed and image quality benefits that these models offer. DSLRs also offer a great opportunity for retailers to educate their customers about the vast possibilities with Nikkor lenses and Speedlights to help them take their images to the next level. Nikon specifically addressed this consumer with products such as the D5300 with built-in Wi-Fi and with a variety of Nikkor lenses that offer substantial performance for any occasion, at attainable price points. We also see opportunity in the long-zoom compact segment, or bridge cameras. These cameras are versatile and offer a great value to consumers who want to capture memories and life events without complexity. We also continue to offer compact system cameras, such as the Nikon 1 V3, which differentiate from a DSLR by giving consumers a combination of speed and portability for active lifestyles. Julien Sauvagnargues, Group Vice President, Sales & Marketing, Olympus Imaging America Inc.
Today’s paradox is that consumers are taking more photos than ever before. At the same time, camera sales are decreasing, particularly in the compact camera category. This is due to the increased reliance on smartphones, which have multifunction capabilities, allowing for ease of use, portability and connectivity. Olympus understands this market trend, and the choice of the consumer, and believes that cell phones and cameras can coexist. Photography is still, and always will be, relevant. Hobbyists who are looking to capture a memory or to express their own stories will, no doubt, look for a quality camera from a credible manufacturer. Olympus continues to address the needs and wants of these consumers with technological advances to help users capture, create and connect. Portability and user friendliness are attributes clearly demanded by the market. And Olympus is developing new products that combine superb image quality with great portability. Additionally, cameras are becoming more complex and retail is changing. In order to sustain our competitive advantage, Olympus has partnered with relevant photo specialty dealers and e-tailers to build a strong education program as well as communicates with both consumers and those who sell our products. Our goal is to link photography, and our products, with high image quality. The Olympus Visionary program and our Anywhere Classroom series of educational videos were developed as opportunities to help our brand connect with end users, in partnership with our retailers. We also continue to educate with our ever-evolving social media and digital initiatives. For Panasonic, 2014 has been a great year. Our leadership role in video allowed us to introduce a suite of products unrivaled in the 4K arena. These included the Lumix GH4, our professional ILC; the A500, our 4K 30p, waterproof, point-of-view camera; the FZ1000, a superzoom, 4K bridge camera; and all the complementary 4K televisions that Panasonic is known for. We see the advent of 4K as a great opportunity for photographers to view imaging in a new way, adding excitement to the category. Our efforts with the Micro Four Thirds format are rapidly gaining broad industry acceptance. The introduction of the Lumix GH4 has been a game changer. The appeal is greatest for the photographer who not only shoots still images but also routinely takes on jobs that require high-end video capture or a combination of both, along with audio. We refer to this segment as hybrid photography. Panasonic continues to also market a feature rich assortment of point-and-shoot cameras and camcorders with many unique selling points. The growth in the number of Panasonic Lumix Luminary photographers has doubled in the past year. These ambassadors work with our retail partners and photographers to educate best practices and add content to the Lumix Luminary Lounge, a social community for hybrid photographers. The biographies of the Luminaries, along with Facebook, Instagram, Twitter, YouTube and Google+ Hangouts, have enhanced the interaction with fans. The digital imaging industry is rapidly evolving as the proliferation of smartphones, tablets and image capture devices increases. Today, the use of image capture devices is as much about sharing images as it is about capturing them. At Polaroid, we welcome this trend with open arms. Sharing has always been at the core of our brand identity. Consumers now have an incredibly broad range of options in terms of picture-taking devices. And the industry is responding to that reality by bringing to market new products and services that enhance the experience of capturing and sharing images, regardless of what device is used. Our mission at Polaroid is to identify the best emerging technologies and incorporate them into new products and solutions that are accessible and easy to use for consumers. That is evident in products like our Polaroid Cube lifestyle action camera. This truly unique POV camera is designed to allow everyone to capture their everyday lives. Additionally, the Polaroid Socialmatic camera will make it easy for consumers to capture and instantly share images in digital or print format via a wide range of digital and social platforms. 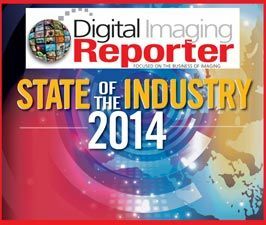 The imaging industry continues to ebb and flow. And Ricoh Imaging aligns with those segments that are flat or growing year over year. The medium-format segment is one such market opportunity. The Pentax 645Z has been quickly adopted by professional photographers looking to differentiate themselves from the advanced amateur. With a historically low price of just $8,995, the 645Z will encourage more of your customers to look to you for medium-format options. Overcoming intimidating buttons and features of current DSLR cameras will be instrumental in attracting new first-time buyers to the DSLR segment. With the recently announced K-S1, consumers will experience an innovative, user-friendly interface and approachable design without sacrificing image quality. The K-S1 has a distinctive concept with LED body illumination adding to its uniqueness. In 2015, educating consumers and retail partners alike will be fundamental to boosting sales at brick-and-mortar locations. Many new digital imaging consumers will be shopping for lifestyle products rather than simply technology. Therefore, retailers must evolve their selling floor to demonstrate the benefits of compact size, style and design, combined with uncompromising image quality. This new selling style will attract mobile phone users to profitable interchangeable-lens cameras such as the Pentax Q, complete with eight optional interchangeable lenses. Over the last year, connected cameras have been widely embraced by the market. First and foremost, people want cameras that take great images and video. However, more than ever they are also looking for devices that work seamlessly with their mobile lifestyle. This shift in the market led us to reconsider our thinking from the ground up. This was one of the key factors when deciding to merge our mobile and digital imaging divisions. Rather than thinking of smartphones as competitors, we look at them as a valuable asset to the research and design process in terms of function, user interface and connectivity features. We attribute this fundamental alignment between image quality and seamless connectivity in establishing Samsung Digital Imaging as the Smart camera leader. In terms of market share, we’ve seen tremendous growth and have reached the number two position in the CSC market. We continue to see gains in the point-and-shoot space as well. Technological growth and photographic advancements are in a constant state of evolution. Two major issues facing our marketing and sales teams are the continual decline in DSLR sales and the sheer number of interchangeable lenses on the market. How do you make your products stand out from other brands in a world of big-budget, cross-channel advertising campaigns, with a sea of communication options? To rise above the industry “noise” and win the battle for brand loyalty, manufacturers have to find ways to make personal, targeted connections with brand enthusiasts and potential buyers. Sigma Corporation’s approach to marketing is—and always has been—like that of a small, family-owned and operated business. The keys to success are: transparent communication of strategic business decisions; a commitment to truly novel and top-notch optical designs; and a guerilla-style, feet-on-the-street approach to helping photographers understand what makes our products so unique. Consumer feedback and education are essential ingredients in the recipe for photo manufacturers’ success. In addition to attending large-scale trade shows such as PhotoPlus Expo (PPE), CES, photokina, and Wedding and Portrait Photographers International (WPPI), company representatives must be active on social media and visit with different photography clubs and communities to show—not just tell—photographers why their products are ideal for their individual and artistic needs. Consumers are more photo-active than ever. The popularity of social media continues to drive interest in photography and videography, creating enormous opportunity for camera innovation. However, in order to succeed in today’s difficult market and inspire customers to upgrade from older cameras, it requires more than incremental improvements. It requires easily recognizable breakthroughs in performance and user benefit. Declining growth rates in a time of ever-increasing photo engagement prove this. Without compelling benefit, cameras are overlooked in favor of other devices. Reversing that trend requires “wow” innovation—Sony’s traditional strategy—now more than ever exemplified in 2014 digital imaging products. Sony’s RX series has driven growth in the premium compact segment for two years, evolving to meet consumer demands. Our RX100 III model maintains the “pocketable” size of the RX100 and RX100 II cameras, yet it includes a 24–70mm f/2.8 constant aperture Zeiss lens and the world’s first retractable OLED viewfinder. Our customers demanded an eye-level shooting experience without sacrificing size, and we delivered. Sony’s Alpha 7 series changed the game for full-frame, interchangeable-lens cameras—the world’s smallest and lightest—since their introduction in 2013. With the Alpha 7S, limitations of sensitivity and dynamic range that challenged cameras were overcome, allowing consumers to capture images and video never before possible. With our a6000 and a5100, we offer mirrorless cameras that are not merely “as good as” competitive, larger DSLRs but exceed them in performance, including autofocus, continuous shooting and HD video quality. In camcorders, our expanding action cam line harnesses Sony’s rich history of video in the professional and consumer markets to deliver a premium POV camera experience unlike anything else. Additionally, as the installed base of 4K TVs continues to grow, 4K personal content becomes more important, and our AX1 and AX100 camcorders, and a7S camera, are driving this market. Connectivity will continue to be key. Knowing today’s consumer is more connected than ever, the expectation for their cameras to seamlessly connect to smartphones, tablets and a network has never been higher. From the RX100 III and the Alpha lineup to our action cams, we’re providing a seamless user experience to let people share their content with phones and ultimately social media. The traditional camera markets continue to struggle. Compact cameras and traditional camcorders are seeing strong global declines in unit shipments, with particularly sharp pressure on the U.S. market. However, that is not to say the market does not have its bright spots. While consumers have moved their daily photography behavior to the mobile platform, enthusiasts and prosumers continue to support the high-end compact camera and interchangeable-lens camera segments. These users understand the value of larger sensors and memory buffers, wider dynamic range and the RAW format. Furthermore, there’s been some recent positive momentum in the compact system camera space, largely due to mobile-centric marketing, and being able to offer a different form factor to photographers. For the camera market, 2014 will be a tough year, with a continued decline in worldwide sales; 2015 could be better if manufacturers and retailers adjust their mind-sets, strategies and product roadmaps to remain competitive. One change required is the acknowledgement that smartphones are not the enemy. Mobile photographers are the breeding ground for future camera buyers. Camera vendors and photo retailers would be well served by educating them about the art of photography. Many casual photographers’ and social sharers’ first experience with taking photos is now with a phone. Those consumers whose interest in photography grows from that first experience and who become hobbyists are prime targets for high-end compact cameras and interchangeable-lens cameras. New camera introductions should focus on the desires of hobbyists and professional photographers. These people love photography and are willing to spend money on equipment that delivers a better experience or higher quality photos. Product features that will resonate are larger image sensors, better low-light capabilities, full-frame sensors, better optics, longer zooms, intelligent imaging features and 4K video capture. It’s Not All the Phone’s Fault . . .
It’s a cop out to blame the industry’s woes solely on the smartphone. It sells well to the big bosses in Japan and Korea that sales are down in the U.S. due to the cameraphone. It wasn’t the cameraphone that caused the Best Buy store manager to ask, “How can I convince my company to get out of the photo business?” This manager sees camera manufacturers’ U.S. policies reducing his photo department to a bottomless pit with no hope for him to see a profit. If camera manufacturers chose to take the no-profit route why should he suffer? There are other CE-type products sold online or through big boxes that have margin. Retailers won’t talk on the record about it, and certainly manufacturers don’t want to discuss their profitless strategies. The policy to sell direct (including allocating scarce product to the captive direct sales website) further erodes retail support. Retailers stock what turns, and when they can’t get what’s hot or if sales are scooped up by manufacturer websites, retailers’ inventory turnover is reduced. And poor inventory turnover at retail means less square footage is devoted to the brand and to the category, which means less promotion of photography and cameras. Although most of the “excitement” of photography comes from capturing endearing images, retailers know that the profitable part of the business is output. Many retailers creating output products on-site are facing a dilemma: their aging silver halide minilabs are, or soon will be, no longer supported by the manufacturers, and they must invest in the latest generation of digital equipment. While the number of photo books being produced worldwide continues to boom, topping 135 million in 2013 and forecast to reach 164 million during 2014, the number of individual prints being made appears to have stabilized at 53 billion. However, in the U.S. the number of individual prints being made is still falling, to 9.1 billion in 2013 with a decline of more than 5% forecast for 2014. Most of the photo books are being ordered through e-commerce and social media sites, creating a dilemma for retailers, especially independent photo shops, who are wondering how to stimulate more production of photo products. Over the past year, three industry groups (Innovations in Photo Imaging, the Consumer Electronics Association and the PhotoImaging Manufacturers and Distributors Association) have developed a campaign to educate consumers about the benefits of using higher performance digital still cameras and also the joy and emotional excitement of printing photographic images. 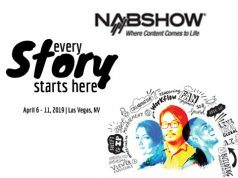 The goal is to achieve an industry-wide promotion and retailers are urged to participate, with the messages and graphics available at no charge. The program has been designed to enable retailers to add their own information. A PowerPoint presentation of this campaign may be viewed on our website at photo-news.com/?p=329. With today’s photographers taking more photos than ever before, using multiple camera devices (DSLRs, point and shoots, tablets, smartphones) and storing their photos on a hodgepodge of devices and cloud services, it is no surprise that finding photos that truly matter has become a nightmare. The worst thing? Many photographers have given up on trying to retrieve or even retain their photos. They take and share disposable photos through Snapchat or use WhatsApp, Instagram or Twitter to message their photos immediately after capture. Good luck finding that perfect photo six months from now, let alone in 10 years. As social media platforms and digital storage have grown rapidly, consumers have lost the most unique quality of photographs: the ability to physically hold a tangible memory in their hands. That ability creates an emotional connection that is lost without a printed image. DNP has seen a shift among consumers that suggests print is not going away, despite the idea that digital storage has replaced it. DNP’s strong growth in printer hardware and media volumes shows print is here to stay and will continue to grow as consumers rediscover the emotional power of print. Retailers must leverage the emotion of print to increase in-store kiosk sales. More photos are taken daily than ever before, and it is important to remind consumers the photos that matter most should be printed. The 4×6 image is the most popular print size produced at retail outlets, with 5×7 and 8×10 also seeing significant growth in recent years. Photo books are also becoming increasingly popular among consumers, as software has simplified the end-user’s photo selection and layout process. However, these photo book solutions often produce a product with low-quality images. DNP will be rolling out a duplex, dye-sublimation printer that allows retail customers the ability to easily produce a photo book with high-quality prints. The consumer photo products market struggles with profitability and stagnation, as “deal” driven sales no longer capture consumers in the numbers that were typical just last year. With the deal companies taking 80+ percent of the revenue, breaking even, let alone making a profit, is difficult. That limits investments and reaction to market changes. Short-term strategies make it hard to survive for the long-term. There have been few new offerings for the middle class consumer. Because the existing brick-and-mortar and online photo services have not found the right answer, a new wave of photo services is on the rise that will most likely take over the market. Companies will use photo products as brand awareness and community-building tools. A consumer products company that makes diapers and items for babies can build brand loyalty with new moms by offering targeted photo products as part of a marketing strategy where the photo products become an incentive. A camera supplier bundles service offerings with a camera for families to take photos of growing children, collecting images in the cloud and printing them as a subscription model. Reaching consumers with the right tools when they are ready to purchase requires an omni-channel strategy to allow consumers to work when, where and on the device of their choosing. These are linked to services that target a specific goal, like preserving consumers memories, and tools that give photo service providers a very quick time-to-market for new products and the flexibility to change product offerings to meet market demands. The photo industry is at another challenging inflection point. The good news is that change brings about great transformation and opportunity. Mobile capture is exploding. In 2014, U.S. consumers will capture nearly 100B images on mobile devices versus 70B with digital cameras. By 2018, mobile will outweigh DSC capture by 4:1. Consumers are sharing and socializing their images at an ever-accelerating rate but are still faced with a set of unmet needs and frustrations! Sharing, printing and creating compelling photo products is not easy enough, and awareness of options with mobile remains low. The industry has great opportunity to increase consumer spend in photo as these problems are resolved. While change is rampant, the core needs of consumers are timeless: capture to remember, preserve to protect, share to enrich, and create to enjoy. The devices may have changed but the inherent needs have not! Consumers use photos to connect, to prominently display and to archive their memories for generations. In the photofinishing industry, prints largely have been replaced by digital posts that let consumers instantly share. Print started declining when we could instantly see on an LCD screen the selfies and candid shots we took, and maybe even photos of gatherings like our kids’ birthday bash. But when it comes to life’s real milestones, we entrust those moments to photo professionals. It is safe to say that memories really worth preserving are still being printed. Print comes in many forms. Some, like large-format posters or wearable prints, are irreplaceable and cannot be posted. However, personal pictures spontaneously shot are almost always digitally posted, usually captioned and sent into the cloud for all to see. Fortunately, the print market is resilient, and with our reliance on print for a living, it won’t be easy to discount us. After all, an inclination to tap our creativity is how we got into this market, and we can certainly tap the same creativity for our businesses! We are very encouraged with our 2014 volume. This is an exciting year; one of our valued system integrators landed a popular chain of kids’ restaurants with photo booths using our ever-durable CP-9550DW printer, with a promise to yield millions of prints quarterly. And one of our souvenir photo partner’s demand led them to increase their forecast beyond expectations. They are experiencing stronger consumption in most tourist spots they set up shop! As these new businesses continue to grow alongside our existing business, 2015 should be more exciting. We plan to bring more exciting products to market. Capitalizing on our reputation as makers of reliable dye-sub printers, we will add perforated media for multiformat prints. To continue fueling our channel partners’ creativity, at photokina we will introduce an on-demand, duplex dye-sub printer that’s capable of printing both sides and all sizes, 8×12 and under, in seconds. This allows our creative customers to come up with more product offerings, such as on-demand postcards or greeting cards, and maybe explore new apps. Be strong, be courageous and drive your own photo profits to NEW heights. Even the strong will only survive by delivering products that meet or exceed the customer’s expectations. You must make tough decisions if you want to stand out against your competition. The first difficult choice is your decision concerning print quality and your investment level for delivering the highest quality print possible. The industry is moving toward a print quality of “just good enough” for its customers. At Noritsu, we challenge that philosophy, as we stand firm in delivering high-quality equipment that generates images beyond expectations. As the only company with inkjet, duplex capabilities, we are excited about the future as many retailers are seeing the opportunity to set themselves apart in the marketplace by utilizing our technology. While the industry continues to consolidate both from a manufacturing standpoint and from the retail perspective, there are many upsides to this scenario. As others leave our space, the strong become stronger as the number of print opportunities in the marketplace remains vibrant. The question now becomes, “Who will become the new service provider?” Does the consumer go where the quality and service is “just good enough,” or do they find the highest quality outlet for their new home? Now is the time to set your quality standards for the present and future as consumers are looking for their next retail partner to meet their high-quality expectations. Photography has become one of the most accessible art forms. Anyone can pick up a camera and start shooting, but not everyone has the gift of capturing raw emotion and beauty. This is where feedback from peers and pros alike can really help separate the selfies from the well-timed, perfectly executed shots. Last month, we surveyed over 11,000 Eyefi customers and found that a staggering 87% are actively looking to improve their photography skills. Social media, then, can become a critical tool, helping amateurs to know whether pictures are impactful or invisible. This feedback loop provides a powerful way for aspiring photographers to hone their craft. The most important thing to any artist is to feel their talent evolving. The Internet provides feedback that grants opportunities to never stop improving—and that’s where Eyefi has filled a void. Our Wi-Fi SD cards and Eyefi Cloud service magnify the skills of any photographer by putting the focus on taking memorable photos, rather than getting mired in the mechanical details of photo management. Eyefi provides an intuitive platform to share creations instantly, giving artists the chance to place all their attention on their craft, not technology. Photographers and videographers are constantly struggling to find ways to improve and adjust the efficiencies of their workflow. The technology they use, both at a shoot and during postproduction, can really affect the amount of time it takes to complete a job. Adoption of new technologies, such as USB 3.0, Thunderbolt and card formats like XQD and CFast, have helped to break through previous speed barriers, as well as address the ever-increasing demands to capture and store large amounts of high-quality photos and videos. However, the job of a photographer doesn’t end there, as a significant amount of time is spent in postproduction. This is where resellers can make the biggest impact in improving workflow. Choosing the right memory cards and readers are critical to any professional when it comes to accelerating workflow. While high-speed memory cards are key, memory card readers are just as important. What’s surprising is that not only do some photographers still transfer their images directly from their camera to their PC or laptop, but many also are using outdated readers that significantly decrease throughput speed. The most valuable brands are those that develop products based on new technologies, enabling the fastest speed and highest efficiency to create a complete, customizable workflow solution. Developing high-speed memory cards and readers, or a line of solutions that accelerates workflow by transferring media files from multiple memory cards at the same time, shows that a brand truly understands the evolving demands of photographers and stays in touch with the most up-to-date technologies to enable the best workflow. As the photo-imaging industry and respective technologies evolve, it is vital for Manfrotto to develop new cutting-edge products for photographers and videographers at every level. Being aware of shifts in consumer behavior is imperative during this development process. An example of this is the continuing transition from point-and-shoot cameras to smartphones. Manfrotto is supporting the smartphone photographer with innovative products, including the Manfrotto KLYP case and accompanied LED lights, lenses and tripod attachments. To satisfy the needs of the entry-level/beginner photographer, we offer a full range of products, including the Manfrotto Compact series tripods and new Pixi mini tripods. For the most seasoned professional, we provide exceptional, high technology products in supports, lighting and bags, with new releases that include our 190 and 055 photo tripods, Manfrotto Spectra LED lights and our new Manfrotto Pro Light photo bags. It is extremely important to work closely with our retail partners to understand the needs of their specific customers. Shelf space is not expanding at retail, so it is necessary to have a selection of outstanding products across multiple categories that best fulfill the specific needs of each market. Reaching the consumer is crucial. Whether it is through traditional advertising, social media platforms or targeted communication, informing the consumer and driving accessory purchases is a major part of our responsibility as manufacturers. It’s also essential to educate consumers on why specific products are needed to enhance their knowledge and improve their imaging experience. Today, just about everyone from the ages of 5 to 95 is taking pictures, and one of the biggest challenges we face as manufacturers and retailers is educating consumers on what it takes to capture a great picture, whether they are using a smartphone, compact camera, action camera or DSLR—and sometimes all of these! Smartphones are actually leading entry-level consumers to higher levels of image taking and increasing their awareness of higher end cameras, and this is driving sales of the higher end cameras. We need to embrace these entry-level consumers and help them with tips and tricks needed for their shoots. As consumers take better pictures and their satisfaction increases, they will ultimately want to learn more and invest more in their equipment. In addition to promoting capture devices, manufacturers should be promoting the necessary accessories to help raise consumer awareness on how their images can be improved. Apple’s “You are more powerful than you think” commercials have been doing just that with huge success. Tiffen’s Steadicam Smoothee for the iPhone 5 was featured in the “Powerful” themed commercial, prompting a very positive response from the imaging community. Before the commercial, many people were not aware there was a stabilizer device available for their iPhone. This piece of information helped them get much more out of their smartphones and undoubtedly record better quality videos—and it resulted in sales of our Steadicam Smoothee taking off. Technologies once relegated to science fiction—think facial recognition software, 3D printing and smart watches—are leaping off paperbacks and movie screens and onto the show floor at the International CES®, as consumer demand for cutting-edge devices drives industry growth. The 2014 CES gave us a glimpse into the future, highlighting the latest technologies fueling the consumer electronics (CE) industry, like drones, health and fitness trackers and wearable Ultra HD cameras. The economic outlook for the CE industry remains strong. The Consumer Electronics Association (CEA)® projects total CE industry revenue will top $211.3 billion in 2014—up 2% year over year—and will reach an all-time high of $214 billion in 2015. While smartphones and tablets remain the industry’s top two revenue drivers, CEA projects revenues from emerging product categories—like Ultra HD television displays and smart thermostats—will grow 242% in 2014 and another 108% in 2015. Looking ahead, connectivity will be key, as we find new ways to integrate mobile devices into our day-to-day routines, such as measuring our heart rates, remotely monitoring our homes and paying for goods and services via mobile apps. As more devices are synced to the Internet of Things (IoT), regulators must free up more licensed and unlicensed spectrum—the fuel for innovation. Opportunities abound in digital imaging. New technologies, products and marketing tools have resulted in enormous success for photo expression companies such as Instagram, Snapchat and Shutterfly—and large challenges for traditional photo retailers and manufacturers, as changing consumer behavior creates a shifting, ambiguous market dynamic. The Digital Imaging board of the Consumer Electronics Association worked aggressively this year to support the industry with a new consumer education campaign targeting Millennial moms. The campaign’s holiday message is “Life is Magical: Hold onto the Highlights.” It focuses on the emotional richness of photos, with information on how to capture quality images with advanced digital camera features and preserve special moments with personalized photo products. The content will live on PMDA’s website, TakeGreatPictures.com, and a social media initiative with campaign posts and contests will support the initiative. Many thanks to the Coqui marketing firm and industry professional Mark Huggins for spearheading this program. The DI board also completed research on the Optimal Consumer Digital Imaging Experience. This research identifies consumers’ digital imaging pathways and spotlights opportunities for manufacturers, software developers and service providers in the digital imaging industry. It is available through CEA at CE.org. Finally, the Digital Imaging board joined PMDA and Digital Imaging Reporter in sponsoring the DI Symposium. The day featured fascinating presentations on new businesses built with user-generated images, such as EyeEm’s mobile community and Luis Sanz’s Olapic visual commerce marketing tools. Other topics included social media tips for pro photographers, 3D printing trends and digital technology game changers in broadcast. The keynote by David Pogue, Yahoo Tech founder, was provocative and engaging. We welcome you to join us as we facilitate these industry-wide conversations. Please contact Karly Davis for more information on the CEA Digital Imaging board at kdavis@ce.org. The past year brought continued skyrocketing interest and passion for imaging, with new capture devices and output technologies taking photography to new heights. For many businesses in the industry, this is translating into increased sales and great opportunities, as we figure out how to tap into this unabated excitement around imaging. Along with the refined mission statement come a number of plans for new and continuing ways to help PMA members grow their businesses and advance the industry as a whole. We remain fully committed to our flagship annual PMA trade show, held during CES at the Las Vegas Convention Center, and the PMA Conferences at Bally’s, January 4–9, 2015. Also included are the consumer-facing Big Photo Show in various formats; the development of a new Big Photo Show kit to help photo retailers host their own Big Photo Show events; continued support and development of certifications, like the new Certified Passport Photo Center program; social media programs for members; additional promotion of National Photo Month and the establishment of a National Photo Store Day; continued legal support; and work with other industry groups to market and promote revenue-generating aspects of photography. These are certainly exhilarating times. I am certain that everyone that reads DIR can say that they have been affected by the changes in the imaging industry over the last number of years. That includes the PhotoImaging Manufacturers and Distributors Association (PMDA). Our association is made up of a dedicated group of members who are invested in the success of our industry and work hard to create programs that will help build all of our businesses. This starts with TakeGreatPictures.com, where we direct individuals to become more knowledgeable about photography. 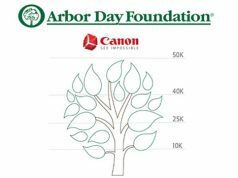 We are also teaming up with the Consumer Electronics Association to add additional content and encourage people to capture and print more images. Among other events, along with DIR and CEA we hold the DI Symposium, which discusses issues facing the digital imaging community. I encourage you to attend when the event is held next June in New York City. At the symposium, you will have the opportunity to see the latest in emerging and competing technologies that will affect our businesses in the years to come. No matter where you go, you see young people capturing images on smartphones. That’s a good thing, because this new generation is wholeheartedly embracing the joy of taking pictures. Smartphones and social media have turned them into amateur photojournalists and videographers. They chronicle every waking moment, expressing themselves through countless images. What a thrilling opportunity for our industry! We have a ready customer base enamored of expressing themselves through picture taking. It’s up to us to teach these new image makers that the smartphone is only an entry point into a visual world that can be so much richer. It’s important to teach them about the better image quality and versatility of cameras, and how accessories help create better images. The innovations in DSLRs, CSCs and other high-end cameras offer opportunities to break through to this generation. To serve this market the principle remains the same: use accessories to differentiate your store and make a profit. Accentuate what sets you apart from the big boxes and online giants—expertise, knowledge and personal service. Show customers why they need a tripod for long lenses and to shoot videos; how a filter protects lenses; and how a polarizer eliminates reflections and glare, and darkens the sky—effects not possible with Instagram. Argraph’s mission has always been to offer our dealers high-profit accessories to help you prosper. We continue to add innovative products. Sirui tripods, monopods and heads achieved unparalleled growth by offering an unmatched combination of quality, innovative design and value. We continue to introduce models and features, with Sirui’s design and build quality that impress photographers. Marumi, continuing its commitment to quality manufacturing in Japan, introduced their EXUS digital camera filters. With innovative, patented features like antistatic, 12-layer oil- and water-repellent multi-coating, an ultra-low reflection/ultra-high transmission design and Teflon-coated threads, EXUS achieves a new level of filter quality and performance. While we continue to supply Pana-Vue slide viewers, our newest Pana-Vue Pana-Scan scanners provide high resolution to 14 megapixels. They make scanning, sharing and also archiving memories easy and economical. Color-calibration tools such as Qp cards help serious photographers get better images. Additionally, Mirror, Mirror on the Camera and the Bottle-Top Pod are just fun. OmegaBrandess is all about photography and supplying accessories that make photography more satisfying for consumers and more profitable for dealers. The challenge now is how to bring products to market that cater to the way consumers are taking pictures today. We certainly hope that DSLRs, CSCs and other types of cameras are around for a long time. However, the reality is that this product segment is shrinking. So our dealers need to make adjustments and go where the customers are going. And that means playing in the smartphone arena. OmegaBrandess continues to add lines that appeal to the mobile lifestyle. We are now focusing on products that change smartphones into high-performance cameras. These include expanding the optical capability of these devices by adding lenses, ways to mount the phone on tripods and ways to use them as monitors for digital cameras. For example, our new line of smartphone cases and lenses from Ztylus adds wide-angle, macro, fisheye and circular polarizer options to expand the limited range of the built-in phone lens. In 2014, the photo industry continues to face challenges. Mobile technology continues to grow as consumers’ preferred devices for taking photos and recording video. However, new technologies and platforms are creating growth opportunities for dealers in the imaging industry. From higher end DSLR cameras and new options in the memory/storage category to drones and 3D printing, imaging dealers have several new options they should take advantage of in 2015. And our team is ready to help retailers with them. 4K video continues to become more accessible to the professional channel as well as prosumers, with lower priced cameras and equipment. Media recorded in 4K quality will make it a must for users to have the proper type of memory with the necessary read/write speeds and large storage capacity. These are products that we are making available to our dealers to help them create growth opportunities. Aerial photography platforms (UAV/drones), a category that WYNIT has helped pioneer in the distribution channel, will also become a much larger and in-demand category. Imaging professionals are looking to expand their capabilities and enhance their work with aerial video and photography now that the technology has become easier to use and more affordable. This will create opportunities for dealers not only for the UAV sales but also complementary accessories. This includes products like action cameras, batteries, replacement parts and memory sales. Gaby Mullinax, President, Fullerton Photographics, Inc.
Every picture tells a story. This statement resonates loud and clear in our industry today. And everyone truly has their own story to tell. Each day more than 60 million photos are shared on Instagram. Capture is king. Finally, however, it seems the revolution that has transformed our industry is easing. We are experiencing some consistency in our days. Now it is our turn to drive our businesses to new successes. Our customers want more than the hundreds of images on their phones. They are waiting for us to show them the unlimited and exciting ways we can feature all of their photos. Creative products are being dreamed up everywhere, and we have a true opportunity to innovate. For the wall, the bookcase, the office, the kitchen, the school locker, the DVD player, the handbag and everywhere else, we are the solution. The world is documenting its life through photos, especially Millennials and tech-native moms. There is an underlying demand for photo products. People are beginning to once again value creativity and artisanship. All of this challenges us to create new technology, new tools and meaningful products for our consumers. This is the most exciting and challenging time yet in our history. But the rewards from the smiles and tears of our happy customers will make the next year most memorable. This year we are faced with two challenges: 1) The shrinking of camera sales due to consumers opting to use cell phones as their image capture device; and 2) A maturity in technological innovations of digital SLR cameras. Although this has created a challenge for our industry, we are still an industry where capturing life through images has never been more popular or more important. Because of this, we have seen many categories strive this year. They include lenses, flashes, lighting equipment, tripods, wearable cameras and mirrorless camera systems. We’ve also still seen a huge interest in education. There is a large demand from customers for classes and workshops. In addition, strong customer interest in new professional-level DSLRs like the Nikon D810 seems to be showing that if manufacturers can produce innovated new cameras, consumers are ready to line up to purchase them. Jirair Christianian, CFO, Vice President, Finance and Administration, Mike’s Camera, Inc. The photo industry today, despite the changes brought on by the digital revolution, is at its essence still about the same thing it was 20 years ago: offering consumers the magic of preserving moments through pictures. Whether professionals, hobbyists or their family’s memory preservers, photographers today are still looking for selection, expertise and value. Digital photography has, in many ways, increased options for most consumers. So their need for information has grown substantially. This brings huge opportunities to specialty photo dealers in areas where they traditionally excel. At Mike’s Camera, we monitor our customers’ needs and inquiries to provide as many lines of products and accessories as possible, since technology and innovations from our vendors still drive consumer demand. However, we also have capitalized on these opportunities by offering more services and photography classes, to make sure we optimize our customers’ enjoyment of their picture taking. We have developed a large repertoire of photo classes to fill the needs of advanced as well as beginner photographers. As a result, we have combined these various “ingredients” to maximize our visibility as photography superstores. We are able to satisfy more consumer needs and, in the process, offering more value.